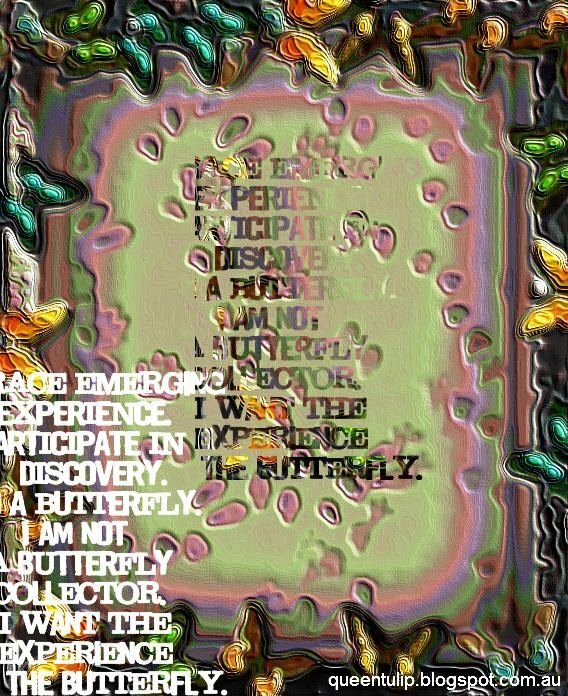 The butterfly experience digital art journaling was illative of what I want it to be yet it ended up into something I could not change upon finalising it. Bottom line, I like the way it looks and how it hides the origin that displays something you can think of under the name of an art journal. It's a butterfly experience in quotes and multiplicative. The art of embossing butterflies, I supposed. I was using Corel Photoshop at that time. The effect is accidental crater embossed.